In collaboration with Microsoft, Symscape has developed a 'burst to Windows Azure' capability for the next release of Caedium (v3) running on Windows HPC Server 2008 R2 SP1. The new feature will allow Caedium users to better optimize their designs by performing more CFD simulations unbounded by on-premises hardware limitations thanks to the elastic resource scaling of the cloud-based Azure service. In the January 2011 edition of Racecar Engineering there is a feature article on Caedium by Simon McBeath. The article highlights the Computational Fluid Dynamics (CFD) capabilities of Caedium and the motivation behind it. The latest release of Caedium (v2.4) can now create high-quality movies, where each frame can be rendered by either POV-Ray or a Renderman-compliant renderer, such as Aqsis. Further, multiple frames can be rendered in parallel, either on a standalone multi-core computer or on a cluster running Windows HPC Server 2008. The ability to run high-quality renderers in parallel means it's never been easier or faster to create great looking movies of your Computational Fluid Dynamics (CFD) results with Caedium. 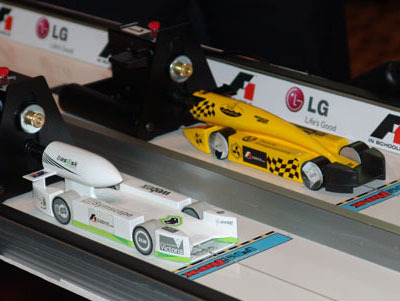 A Computational Fluid Dynamics (CFD) simulation of an open wheel racecar, created using Caedium Professional and rendered by POV-Ray, was selected as the front and back cover of the popular textbook Fox and McDonald's Introduction to Fluid Mechanics, 8th Edition, Philip J. Pritchard. 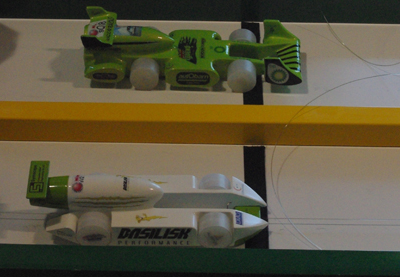 After winning the Australian F1 in Schools title in March, Basilisk Performance went on to the F1 in Schools World Finals held September 20-22, 2010 in Singapore. 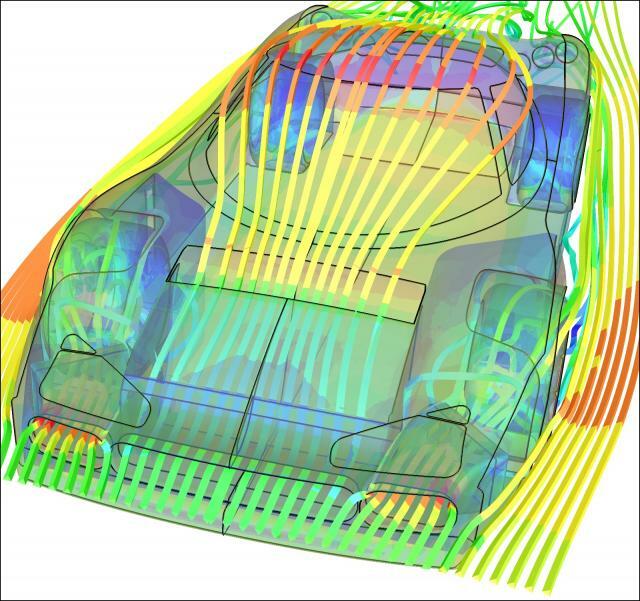 Brett Sizeland, the team's chief designer, again turned to Caedium CFD simulations to help guide the aerodynamic design of the car. The OpenFOAM®1 solvers and utilities used by the latest release of Caedium (v2.3) RANS Flow and Professional add-ons have been upgraded to OpenFOAM 1.7.x from 1.6.x on Windows, Mac, and Linux. Also the unsteady incompressible flow solvers in Caedium now use the PIMPLE algorithm instead of the PISO algorithm. PIMPLE has better stability for large time steps compared to PISO. 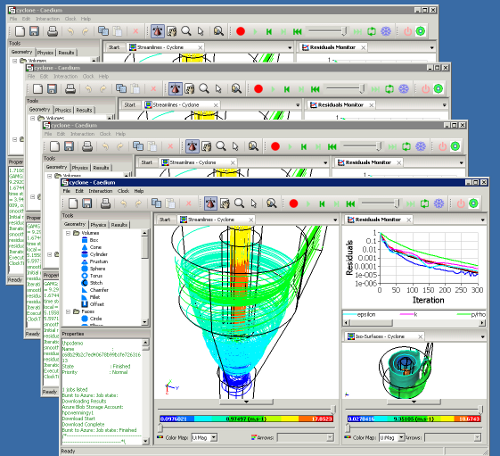 The latest release of Caedium (v2.2) can now perform Computational Fluid Dynamics (CFD) simulations in parallel on a single computer with multiple cores or on a cluster running Microsoft Windows HPC Server 2008 - either way it means a significant reduction in simulation turnaround time compared to previous versions of Caedium. Also available with this release are 64-bit versions of Caedium for Windows and Linux, which can perform much larger simulations since they are no longer restricted by the 32-bit memory limit. Caedium subscriptions are now available per month, per quarter, and per year for small businesses and hobbyists to perform Computational Fluid Dynamics (CFD) simulations as needed. The new subscriptions bring CFD within the budget of anyone who wants to join the virtual simulation revolution. The recent release of Caedium for the Mac has attracted a number of enthusiastic blog posts based on the theme that Mac OS X is becoming a viable and appealing Computer-Aided Engineering (CAE) platform.